It's best to stick to simple meals during Ramadan. Ramadan, the annual month of fasting, will begin on August 1, this year and preparations to welcome the holiest month on the Muslim calendar are already in full swing. Muslims who observe Ramadan are counting down to the special month by preparing themselves --mentally, spiritually and physically -- for the fast. They constantly remind themselves that Ramadan is not just about refraining from eating and drinking during the day but also a time to be very close to God by offering more prayers than usual and to practice patience, humility and spirituality. Some Muslims began fasting in June for a few days a week to ease their bodies into the month-long fast in August. My late father would do the mini fast three months before the start of Ramadan and when it finally came he grew accustomed to the idea of waking up at 4am for the pre-dawn meal (sahur), going without lunch and having a glass of water by his bed at night to hydrate. My father also worried about food wastage during the ninth month of the Islamic calendar. His trips to the Ramadan bazaars, (which will sprout like mushrooms after a rainy day during this period), were carefully planned to factor in the amount that we as a family (father, mother and nine active growing children) could consume. We could choose our favourite kuih (Malay cakes) but only one type please. We were not allowed to ask for more than we could eat. That lesson has stayed with me and I find myself being very frugal during my jaunts to the bazaars which I enjoy very much. Ice kacang is a perennial favourite in Malaysia. Malaysia will be a gourmand's paradise during Ramadan. Dishes from all over Malaysia will be on display at the various dedicated bazaars, major food chains and hotels. It is a ploy to entice the starving Muslim to eat till he or she drops. "That is not a good idea," my late father would intone. Consider this advertisement in the New Straits Times (July 6, 2011): " Kuala Lumpur Convention Centre; Flavours of Ramadhan in the heart of KL; Over 500 dishes from the four corners of the world." It continues: "Dine in comfort and enjoy the convenience of a dedicated surau, imam and an on-site ablution facility for Maghrib, Isya' and Tarawih prayers." The cost? RM98++ per person but bookings before July 15 will receive a five per cent discount. No thanks! 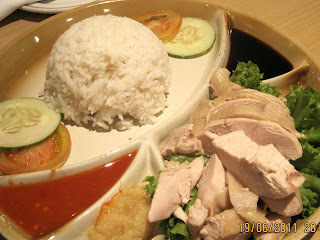 RM98++ is a lot of money and too much to pay for a meal! Consumers keep complaining that meals are priced too high at all eateries and bazaars during Ramadan but no one is listening. Halal food outlets (suitable for Muslims) will be packed just before the sun rises and after the sun sets and trying to get a seat at these places is almost impossible. But for many working Muslims who cannot be at home in time for the evening meal the scramble for seats will be a constant struggle. Most people would rather break the fast at home with family members and close friends and at a fraction of the cost of a meal at the Kuala Lumpur Convention Centre or other places which serve Ramadan buffets. I refuse to be intimidated by the bloodsucking food operators! 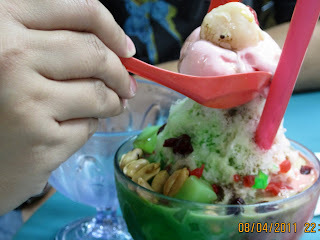 Finally found my way into your blog via of all persons, the one and only Shamsul Amri. I came across the FB remark from him. Anyway, love your blog, the way you put things, so elegant and effortless.